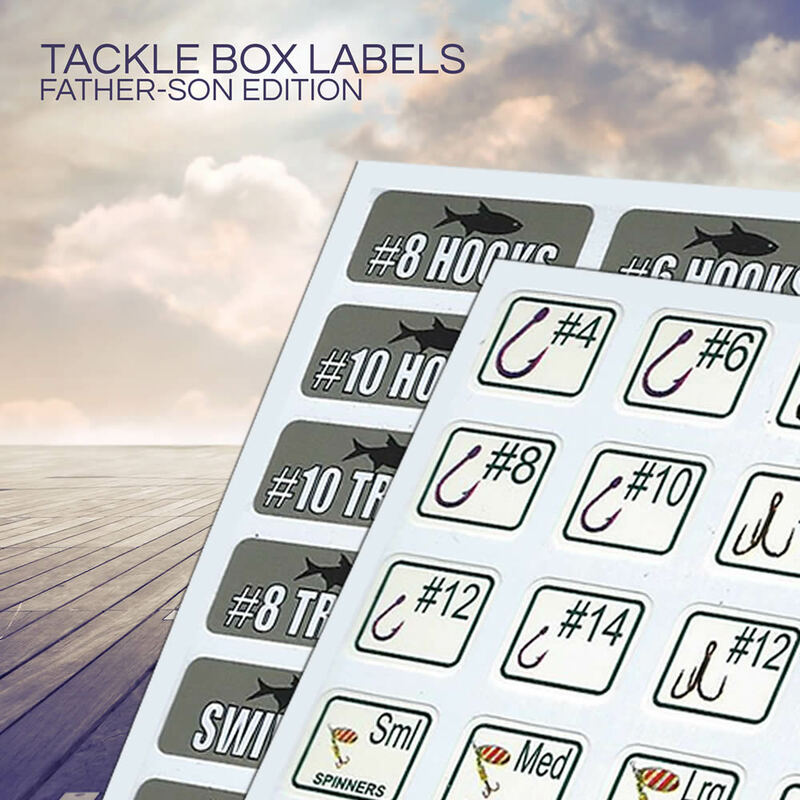 The “Father-Son” Combo includes a sheet of our new “photo and lettering” label design for the sharp-eyed son or daughter and a sheet of our “improved” original, “high contrast white on green lettering” design for the weaker eyed Dad or Grandpa. 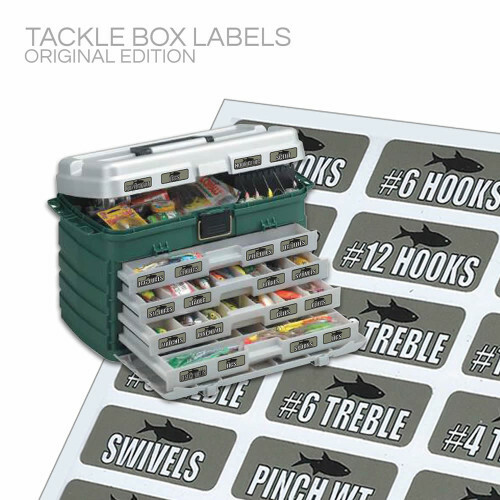 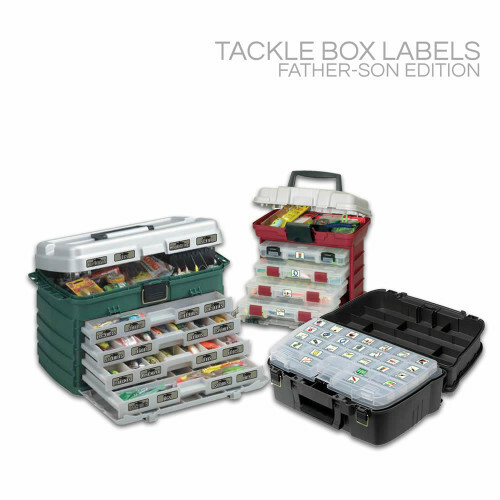 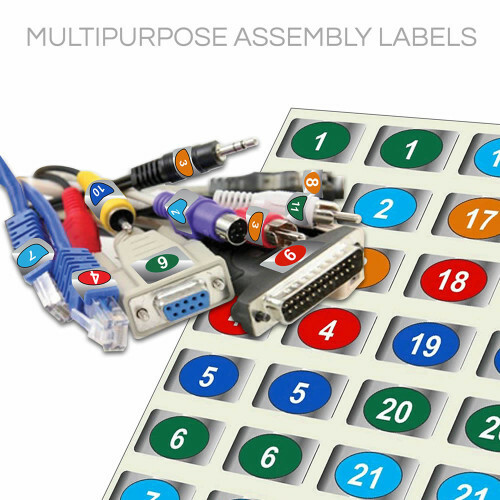 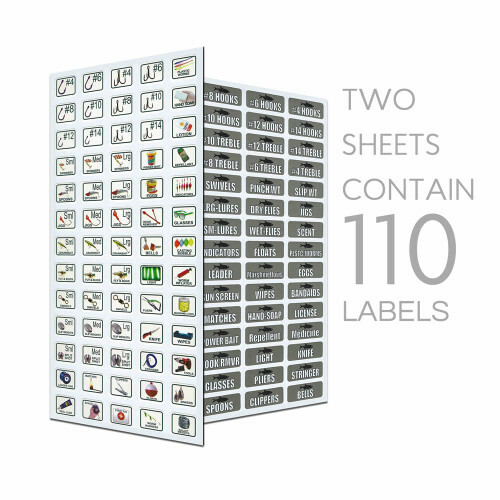 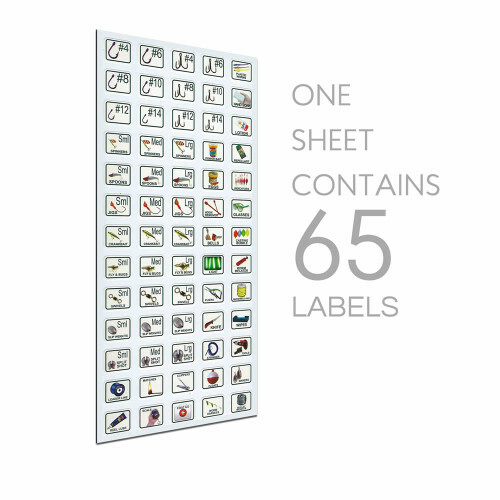 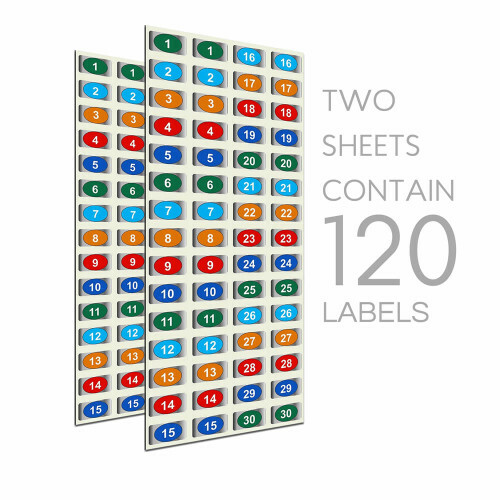 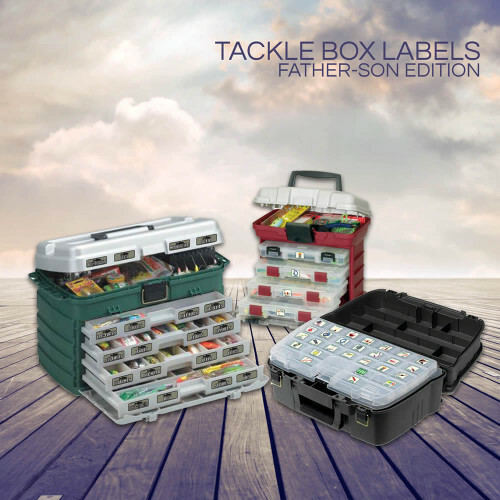 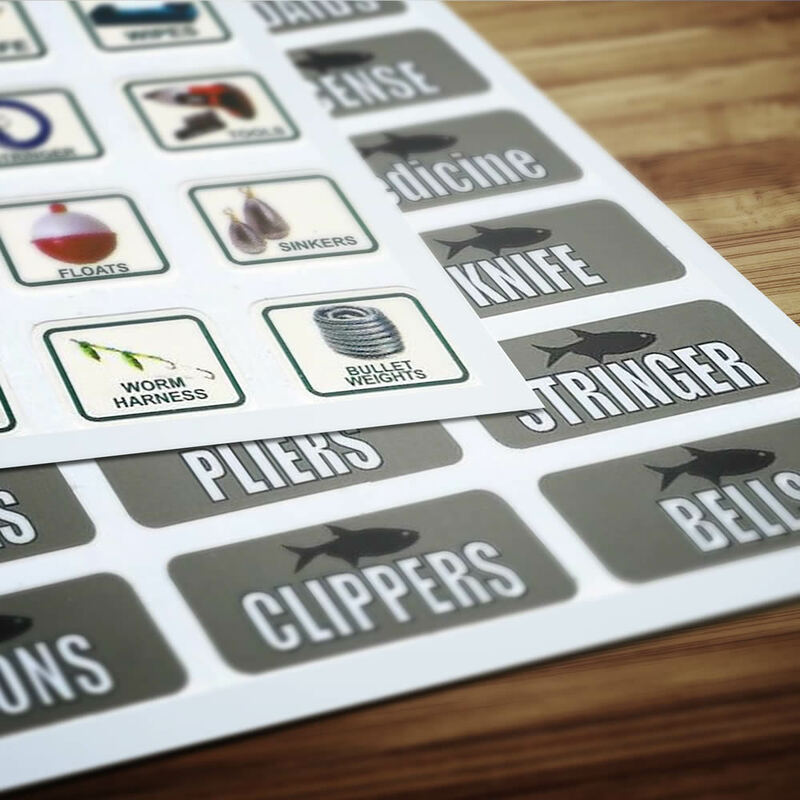 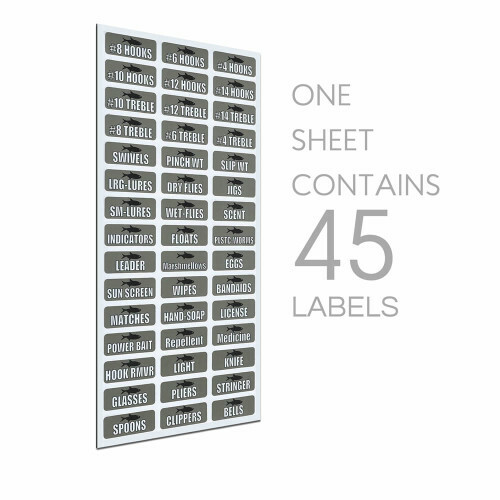 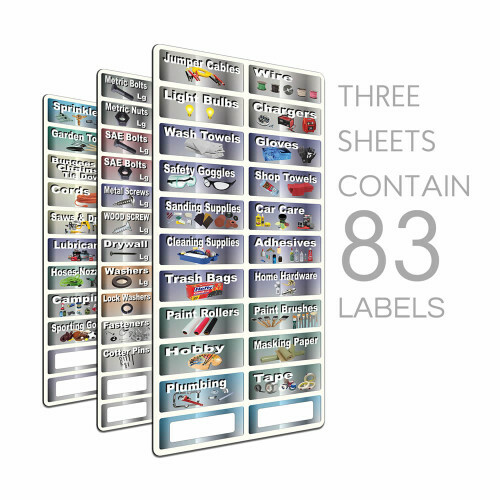 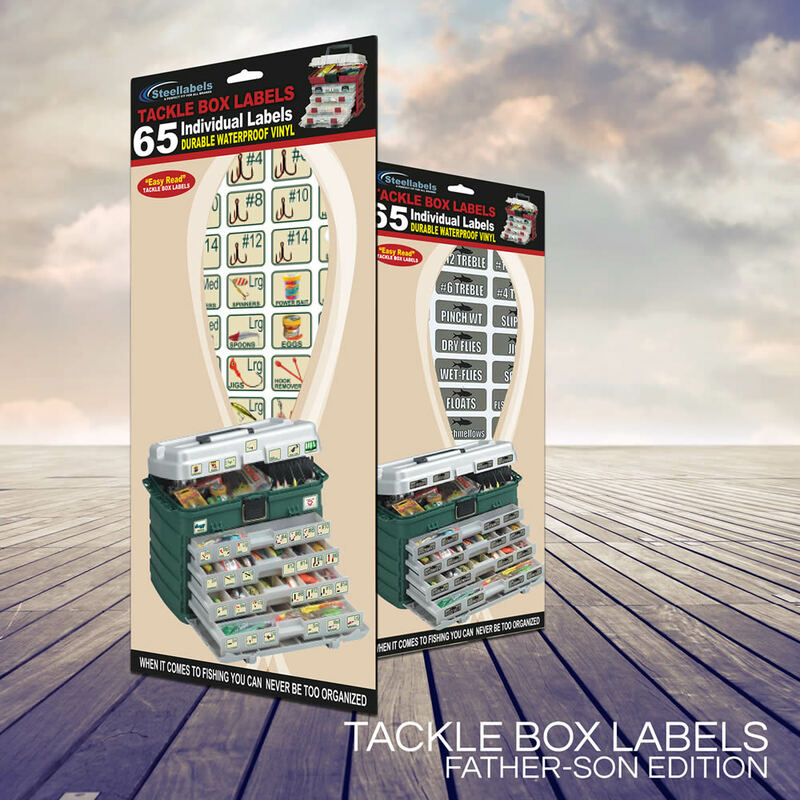 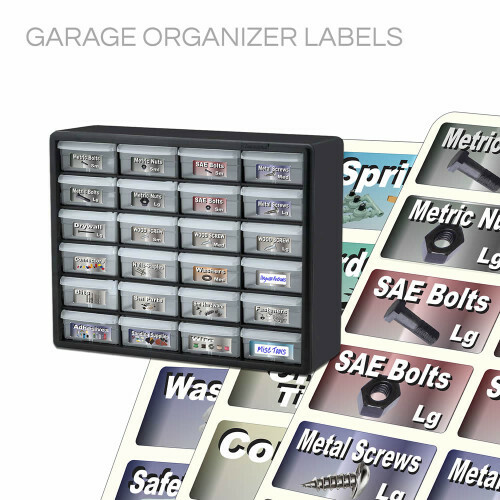 Tackle box organizer labels for the fisherman. 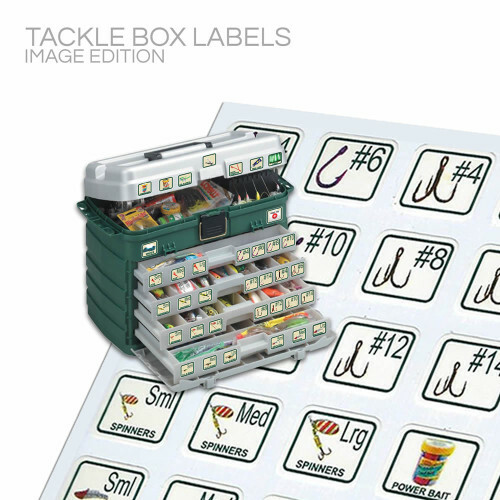 “Easy Read” for Dad or Grandpa, easy identifying pictures for sharp eyed son or daughter.